HEAT the oil in a stock pot and sauté the onion for 1 minute. Add the kumera, pumpkin, carrot, VEGEMITE, coriander, sugar and water. Bring to the boil, turn the heat down, cover and simmer for 30 minutes. COOL slightly before blending soup until smooth, thin with a little milk if necessary. 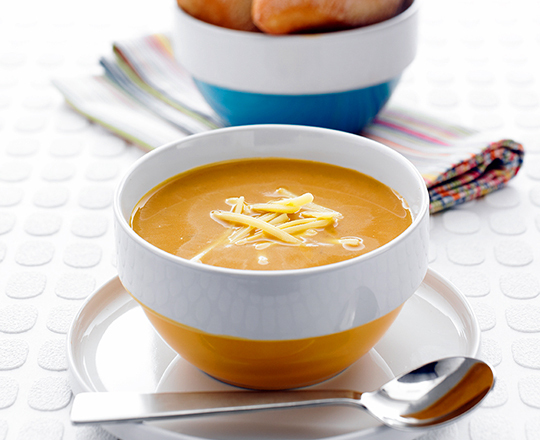 Spoon the soup into serving bowls and sprinkle with cheese. Serve immediately.